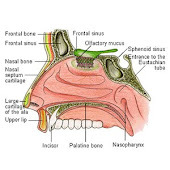 So you've been told by the revision nose surgeon that you need more support in your nose. Your last surgeon did too much reductive surgery and you need to have your nose built back up for either cosmetic and/or breathing issues. Here is a list of pertinent questions relating specifically to the surgery, which you need to ask. 1. Will the surgeon be using autografts (harvested from your own body) allografts (from cadavers) or alloplasts(synthetic material). 2. Assuming autografts will be used, where is the surgeon going to harvest the grafts from.Cranium, Rib, Ear, or Septum. If allografts, are they from an accredited tissue bank(which one?) and how have they been processed and stored. ie) irradiated, freeze dried, etc. If alloplasts whats the name of the material ie)medpore, gore-tex, etc..
3. What soft tissue material does surgeon use as filler or to wrap the grafts. ie) Deep temporal fascia, Perichondrium, alloderm. Will crushed or diced cartilage be used to fill out some area's..
5. What steps does surgeon take to reduce the warping of rib grafts. 6. Will the surgery improve the function (internal valve &/or external valve) &/or cosmetic appearance (tip, bridge,asymmetrical issues) of the nose. 8. How long will surgery take and is it a closed or open approach. 10. Is there an agreement form outlining that the surgeon will redo any necessary minor changes needed after surgery and is that an extra cost or is it included in the price of the original surgery. 12. How long will the sutures remain inside the nose after surgery. Are they dissolvable.temporary sutures or meant to be the permanent type. Remember you should find out before the surgery what the specific plan is for your surgery. If you're not sure after you initial consult, call the surgeon's office and ask for a copy of the surgical plan proposal and doctors notes pertaining to your consult visit.